The Air Jordan 5 “Supreme” was hands down one of the biggest surprises in 2015. 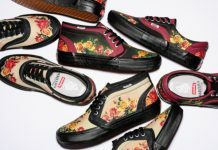 I mean, who would’ve thought that Jordan Brand and Supreme would collaborate to make one of this years most hyped releases? 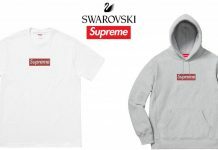 As expected, every single colorway released sold out. Nikestore dropped them out of the blue in mid October but again, many struck out and were disappointed. 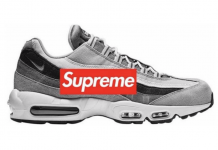 However, once in a while, you get a second, maybe even third chance of obtaining a sneaker like this which is why we encourage you to join the latest contest held by Sportslock. 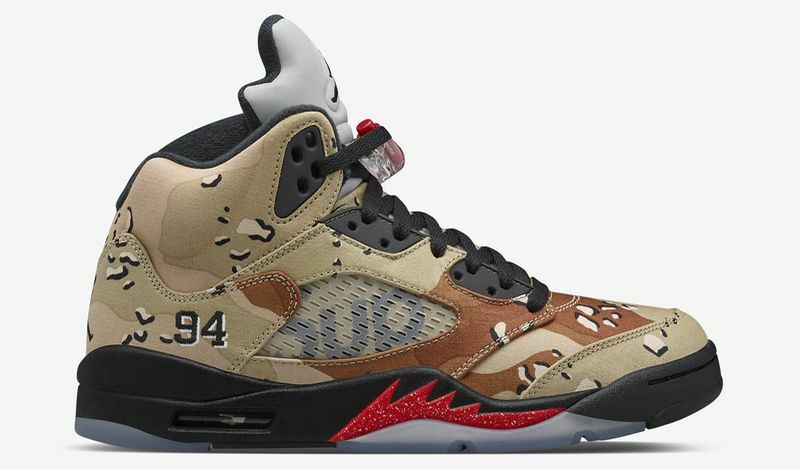 The fantasy sports company is giving you a shot at winning a pair of the Air Jordan 5 “Supreme” in the Camo colorway for free. All you have to do is win a few head to head, NBA fantasy match ups, which is way easier than hoping they’ll drop out of the blue again. 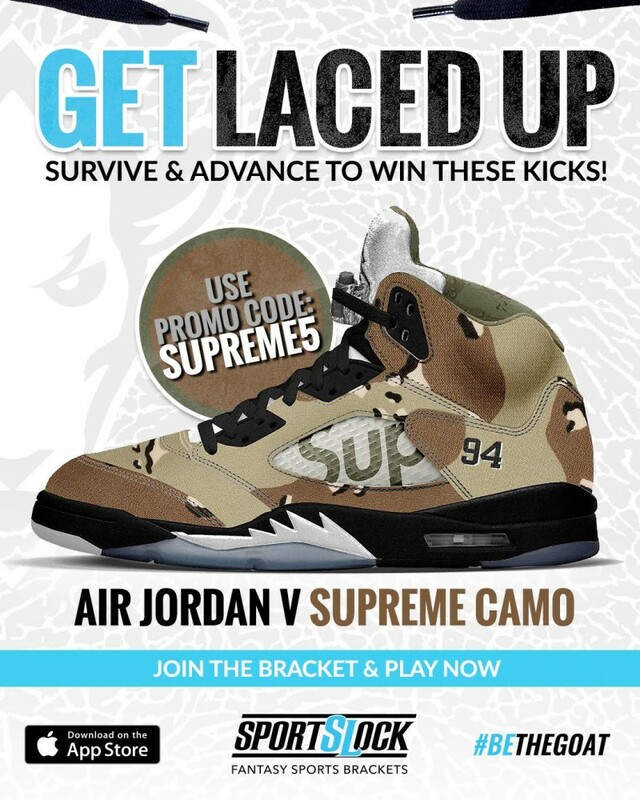 Download the app below and use Promo Code: Supreme5, draft a winning team, survive, advance and win. If you don’t take home the top spot, second place gets enough cash to cop whatever sneakers you want. #BETHEGOAT.